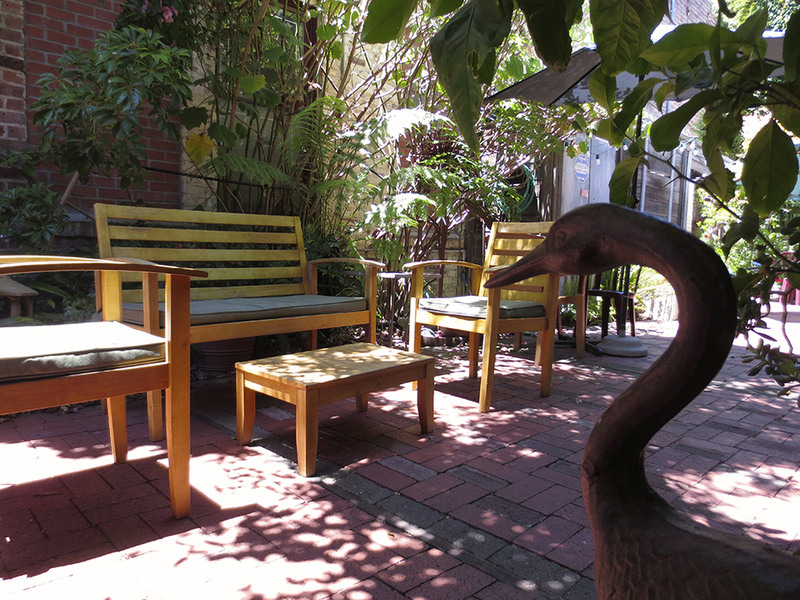 One of our favorite things is to watch people discover the patio garden behind the coffee shop itself. They usually sound something like this: "Oh, wow, would you look at this! Amazing! It's so pretty. And there's a fish pond! No way!" People spend many a lovely hour out back in the garden, sipping lattes, catching up with friends, studying, or doing creative work in the quiet, serene space. The resident sparrows and finches come and go among the dense branches of the tropical arbor, cleaning up any muffin crumbs and taking little splash baths in the koi pools. 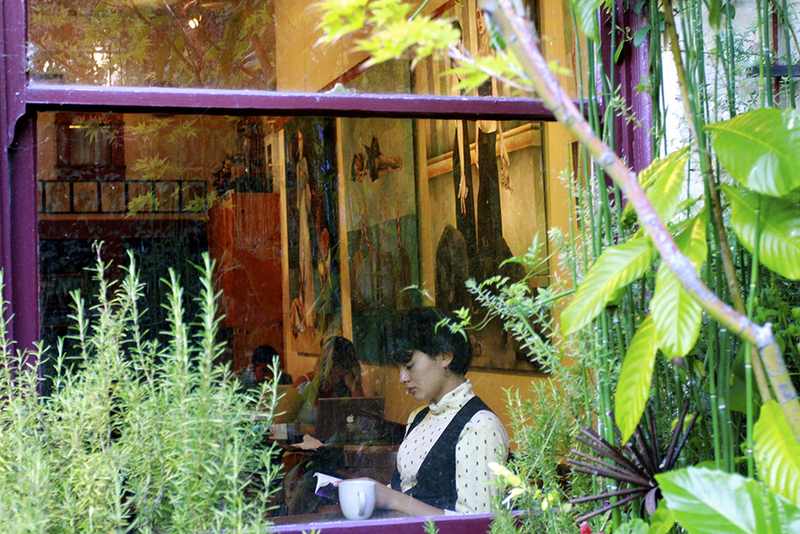 The Garden has been around since the cafe was founded in 1984. It became a community project when Linnaea asked friends and customers to bring in a brick or two to help build the patio floor. You can still see the signed, decorated blocks here and there, reminding us that we're all in this together--that we have the power to create community and a beautiful space for us all to enjoy and benefit from.